Rotherham United have sold out the AESSEAL New York Stadium lounge for the forthcoming Sky Bet Championship showdown with Newcastle United. 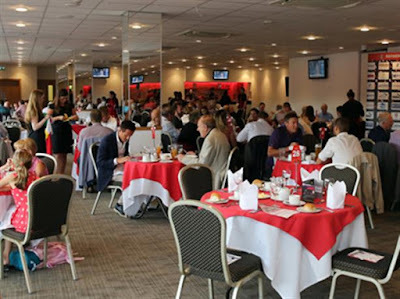 The club provides a range of seasonal and matchday hospitality packages in the the lounge at the £20m stadium, all come with food, panoramic views and executive seating to watch the game. With their first win under their belt in their third consecutive season back in the second tier of English football, the Millers prepare to welcome clubs that have played in the Champions League and those that have won the European Cup and Premier League in the not-to-distant past. On October 1, the Millers take on the Toon Army in a league fixture for the first time since 1983, and businesses and supporters alike have responded by snapping up tickets for hospitality and sponsorship packages in double-quick time. It is another step forward for the commercial wing of the club, with Head of Commercial Mark Hitchens confirming that a number of other key fixtures are also close to selling out. "There has been so much interest in the sponsorship and hospitality this season, and we expected the games against the likes of Newcastle would be popular,” Hitchens told the club's website. "I think we are a little surprised just how many people wanted to be involved in this game, resulting in rapid sales. "It isn't just the Newcastle game that has proven popular, a number of other fixtures are getting close to selling out too, as we look forward to another successful season on the commercial side of the club. "Every year seems to get more exciting, and while we continue to strive for improvement on the field, the same can be said behind the scenes commercially." The club is also taking measures to ensure that tickets in the home sections of the 12,000-seater stadium go to home supporters as a sell-out is expected. In September, Nottingham Forest and Blackburn Rovers visit the AESSEAL New York Stadium and the November Yorkshire derby at home to Leeds United, a fixture the Millers have won in the previous two seasons, has been selected to be shown live on Sky.